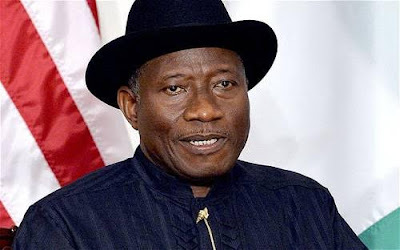 Former President Goodluck Jonathan has reacted to online media reports claiming that ‎he is a co-sponsor of militant group, Niger Delta Avengers. An alleged faction of the group had released a statement over the weekend claiming that himself and some other politicians like Rivers state governor Nyesom Wike, Senator Godswill Akpabio, Raymond Dokpesi and many others were sponsors of the group. �For the avoidance of doubt, we are fully convinced that such an idiotic claim is too cheap a narrative, a facile contrivance so badly concocted that any discerning mind would easily see through its disingenuous and duplicitous nature. �We are also not bothered by this baseless accusation, contented that we are not the only ones conversant with Jonathan�s widely-acknowledged sincere disposition to peace, non-violence and better human community. �We are, however, seized by the feeling of d�j� vu occasioned by the resurrection of one dim character masquerading as �Cynthia White�, who had in the past served as the spokesperson for a notorious group that had all along shown its hand to be going after the life of Dr. Goodluck Ebele Jonathan. "Nigerians could recall that in 2007 when Jonathan emerged as the running mate to the late President Umaru Yar�Adua in the People�s Democratic Party during that year�s presidential election, this very group invaded Yenagoa with hundreds of militants in an effort to assassinate him. Jonathan was only saved then by the spirited efforts of the combined forces of determined security men, who gallantly repelled the attack. �Let us also not forget that members of this same group later invaded and bombed Jonathan�s compound in Otuoke, Bayelsa State, on a night he was scheduled to attend to an important matter in his country home. He was only saved by the grace of God, who in His infinite mercy created intervening factors that prevented Jonathan from sleeping in his country home that night. �Do we need to remind anybody that the so-called Cynthia White is the self declared spokesperson MEND, a violent and murderous underground group led by one Henry Okah, which has not hidden its intention to destroy the former President? "The unfortunate event of 1st October 2010 in Abuja at the Eagle Square during the Independence Day celebrations for that year, being presided over by the former President, bears out this conviction. It would be recalled that after an attempt to bomb the venue, with the mind of assassinating Jonathan and possibly other high profile local and international dignitaries in attendance, was thwarted by tight security deployment, the terrorists detonated their bombs in other parts of Abuja, resulting in the death of many innocent Nigerians. It is no secret that following that incident, Okah, the leader of MEND was arrested, tried, convicted and jailed in South Africa over terrorism charges by the security authorities of that country. He remains in a South African prison till date while his associates in Nigeria are still being held in Kuje prison, Abuja. "We, therefore, have no doubt in our mind that MEND, as a group contracted to go after Jonathan with the mind of assassinating him, is yet to abandon this criminal and ignominious craving. It is in this light that we view the purported statement issued by �Cynthia White� as not only a sadistic continuation of this sick desire, but also a futile attempt to instigate the Federal Government to needlessly go after the former President. �Those who have been following the unsavoury developments in some parts of the country since the last general elections, especially the ones that held in the Southsouth states, would have noticed that the nefarious MEND, their pay masters and other unscrupulous elements in the region, have been striving fruitlessly to exploit the ensuing confusion, by surreptitiously working for the fulfilment of its yet-to-be declared political agenda. It is our considered view that the statement in question is an off-shoot of that ignoble plan; this time plotting to rubbish and torpedo the ongoing peace efforts in the region. �While we believe that God Almighty would continue to protect the former President against the evil machinations of these undesirable elements, we wish to also point out that Jonathan is prepared to do anything within the limit of our laws to ensure that he enjoys a well-deserved peaceful post-presidential life without any hindrance. �We are not under any illusion that more accusations and allegations of this nature would not be hurled Jonathan�s way in the future, especially as his enemies appear to have perfected the act of throwing mud each time his profile gains added impetus and acclaim. But we are very positive that he can never be fazed by such negative energy. Like the eagle, Dr. Ebele Goodluck Jonathan will continue to soar over his traducers! ?